Equally, whisky made at Springbank distillery tastes like the town in which it is made. Campbeltown was once a thriving maritime city full of trade, shipbuilding, and of course, fishing. Now, hold your horses there Whisky Waffle. Surely I’m not implying that this dram… is the whisky equivalent of fishing? Crazily enough, that’s exactly what I’m suggesting! And it works. As in really, really works. 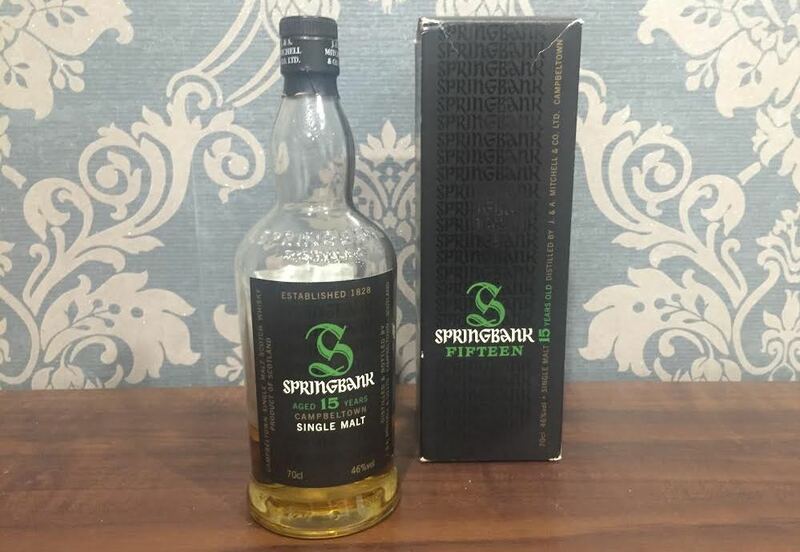 Unlike the 10 Year Old Springbank expression, the 15 has spent its extra maturation time in ex-oloroso sherry barrels and the added complexity is clear from start to finish. On the nose, oily, briny characteristics are immediately noticeable. There is the faintest hint of smoke, perhaps blown in from nearby Islay. The palate is gently spicy, courtesy of its 46% nature. There are flavours of caramel and pineapple contrasting intriguingly with meaty and, dare I say it, fishy aspects. The finish is pleasingly long, really encapsulating the seafaring town with notes of salt and sea-spray. On this blog, I do boast about a range of things, but even I can’t say I have ever been to 18th century Campbeltown (or even the current 21st century edition for that matter). However, by simply pouring myself a dram of Springbank 15 and closing my eyes (don’t try it the other way around – you’ll waste good whisky! ), in my mind I am immediately transported there. I can smell and taste it for sure! As the abundance of sherry barrels diminishes, whisky makers are forced to look elsewhere for maturation options. The obvious solution, of course, is using the barrels of another grape flavoured product – no, not hubba bubba bubblegum – wine. Wine cask maturation is being used by distillers worldwide: some as a novelty but others as a serious addition to their main range. The wonderful whisky makers of Longrow are no strangers to experimentation. One of their more intriguing bottles is the Cabernet Sauvignon Cask – aged for seven years in refill bourbon hogs heads and a further four years in Cab Sav barrels sourced from my very favourite wine region: South Australia’s McLaren Vale. Warning: this is not a beginners whisky. Nor is it an easy drinking whisky. Nor, I believe, could I describe it as a ‘nice’ whisky. But it sure is a fascinating one. On the nose I detected, well, heaps. Initially a gentle smoke, reminding you that yes, Longrow do peat their barley. Once the smoke clears notes of grapes, banana and burnt orange rind flow through. Over all, it is complex and delicious. The palate is a bit of a shock. Initially it is sweet with fizzy sherbet complimenting the peat. The red grapes make a return, along with other fruit such as melons and apricots. And then the spirit transforms. The finish is long, though not necessarily because of the slightly higher percentage of alcohol. It’s a little… soapy? This is a tasting note I (and seemingly I alone) seem to find in many wine-matured whiskies. There are other, nicer elements: smoked ham, salt, fish, bonfire ash, general seaside senses. This whisky is from Campbelltown, after all! In no way do I regret buying this whisky. There’s a lot to like and a lot to discuss. But I didn’t love it. And that’s ok. Welcome to Campbeltown. I shall begin by clarifying to my fellow Tasmanians that I am referring to the town in Scotland, not the eternal toilet stop halfway between Hobart and Burnie. Campbeltown is located at the tip of the suspiciously shaped Kintyre peninsula in the south of Scotland and was once known as the ‘whisky capital of the world’, being home to as many as twenty-eight distilleries. Sadly (at least for the sailors who make port there) this is comprehensively no longer the case. Several distilleries, however, are still going as strong as ever. Springbank, Longrow and Hazelburn are all based in Campbeltown. In fact, they are all based at the same distillery. And despite being located at the same premises, all three make many varied and fascinating drams. 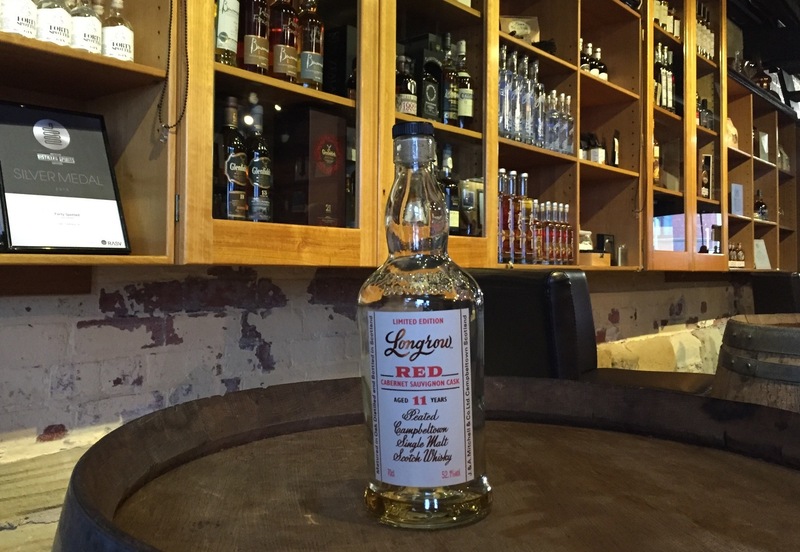 Longrow whiskies are heavily peated, and often aged in unusual and quirky barrels. Hazelburn whiskies are triple distilled, and as smooth and creamy as their similarly produced Irish counterparts. Springbank, the biggest and most well known of the three, makes whisky with a maritime influence, harking back to drams made in the nineteenth century when the town was in its pomp. Their entry level is the 10 Year Old and it is a perfect dram to demonstrate what they are about. The nose is oily and buttery with a sweet seaside edge. This is whisky doing salted caramel. There is also the faintest hint of smoke, of course nothing like the Islay peat monsters which linger only a small stretch of water away. It is bottled at, in my opinion, the optimum level for whisky: 46%, and the slightly higher alcohol percentage gives this whisky a pleasantly light spice across the tongue. The flavour is slightly fishy, and I mean this literally, instead of labelling it ‘suspicious’ (although some people would take this claim to be very suspicious indeed). 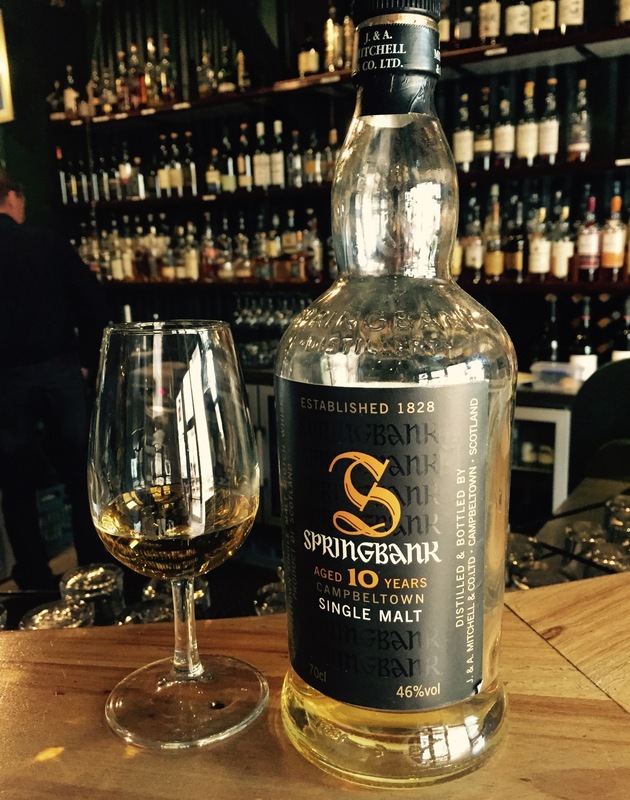 The Springbank 10 Year Old has been matured in both ex-bourbon and sherry barrels, and the sherry in particular is notable on the finish where raspberry jam flavours mingle with the slightly smoky notes creating something memorable and completely unique to Campbelltown.